My new best friend. 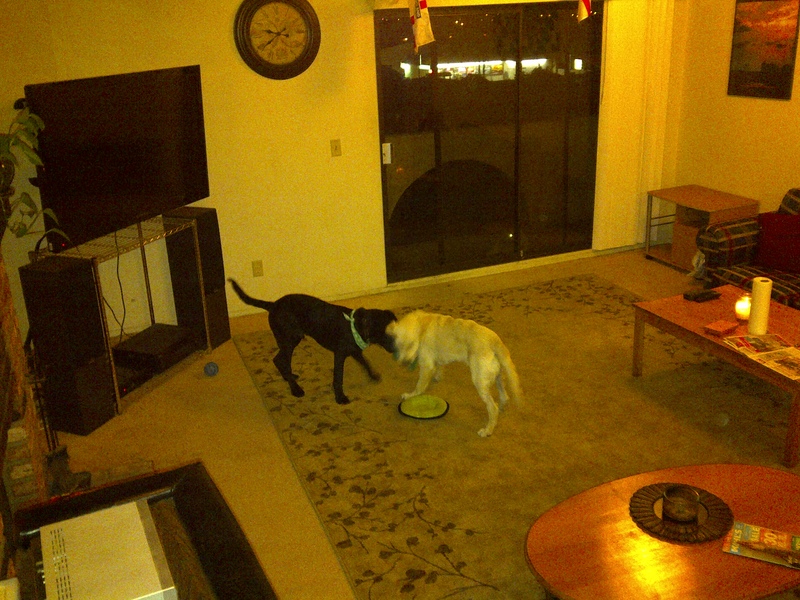 I learned to play tug with him, we jumped all over each other…. chased each other around the house and he even gave me a little kiss on the nose. 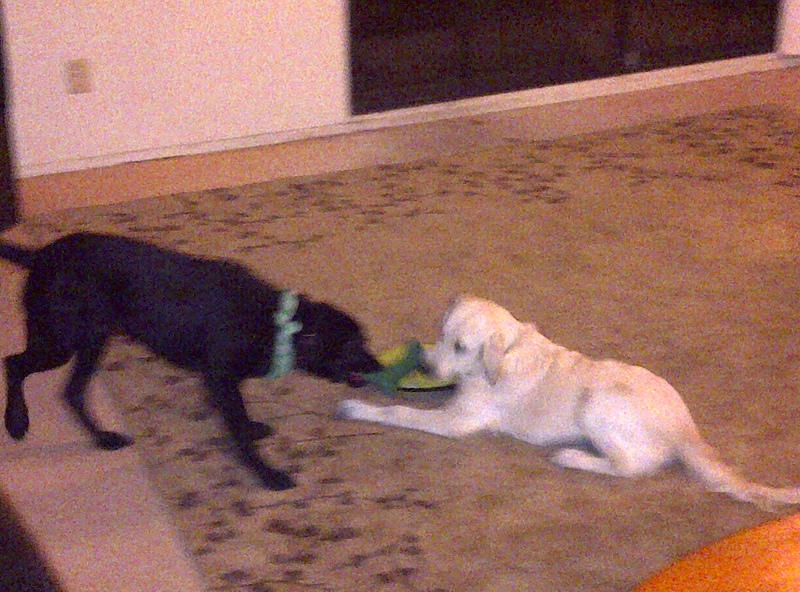 He is in training to be a guide dog, so he can’t wrestle with me like Callie does, but he plays really well with toys. During this particular play time we were playing with a little plush toy and I was sort of winning, but he is bigger and has been playing like this for longer, so ultimately he won out. And here’s a close up of the action.